We began in 2009 with the aim of filling a niche in the Queensland wholesale cakes market. At the time, most café cakes were bland and mass produced. People looking for Gluten Free, Coeliac or other allergen friendly cakes when eating out were restricted to only the most basic selections. We knew there was a way to do better: to make small batch, handcrafted cakes, tarts, brownies and slices which taste like the old fashioned treats your Nan might have made. And we wanted them to be allergen friendly so everyone could enjoy them. 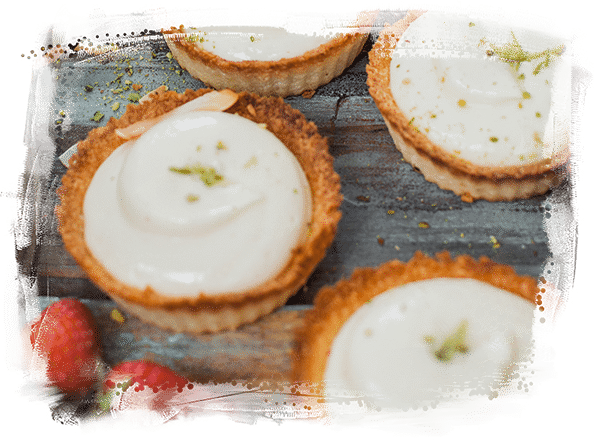 Fast forward 8 years and you’ll see we’re renowned for our innovation, our service and our very special products (not least our signature and best-selling Caribbean Lime Tarts). It’s testament to our hard work that not only have we nailed the Gluten Free cake wholesalers’ niche, Homemade Bliss™ has grown to become the largest wholesale supply cake company on the Sunshine Coast. 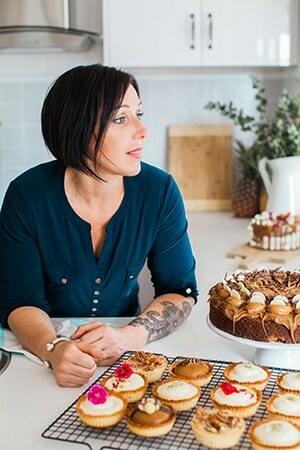 Our team of dedicated staff, headed up by company founder Faith Drummond, supply innovative Gluten Free, Dairy Free, Paleo, Raw and Vegan cakes to a large and growing number of businesses throughout Queensland, and New South Wales. We even ship pallets of cakes to Melbourne to satisfy the needs of our far away clients. We love what we do and are proud to see our products enjoyed by so many people, whether they have dietary restrictions or not. Handcrafted Cakes for Every Body. So who’s behind Homemade Bliss™? Apart from our superstar team of bakers and pastry chefs who work tirelessly to perfect everything we stand for, Homemade Bliss™ is me, Faith Drummond. I started the business from nothing more than 8 years ago, and no one is prouder of our success than I am. I wanted to make cakes and desserts which you wouldn’t know were allergen friendly, and I knew I could produce better ones than anyone else was offering to the market. I quit my job, licensed my home kitchen with the local council and Homemade Bliss™ was born. In the beginning it was just me. I baked and delivered all the cakes, managed all the orders and looked after all the admin duties. These days I have a team of fantastic staff, but I’m determined that Homemade Bliss™ stays true to its roots – the best cakes and the best personalised service. When I’m not looking after our wonderful customers or creating innovative new recipes you’ll find me living on the edge, riding my motorbike somewhere exciting or mountain biking down a rugged hillside. Want to know even more about Homemade Bliss™? which is a big deal when your range is as awesome as ours.